As a travelling family we are often in hot countries for extended periods of time. We’re always looking out for the best suncream for kids, especially as we can sometimes be in 30+ degree celsius weather conditions. Whilst Im not complaining about that in itself, I am a worry wart when it comes to the sun. We’ve recently partnered with LloydPharmacy to review their Solero suncream selection. We haven’t yet found a sun protection range that offers such diversity for different skin types. There are three ranges within the collection, as well as different application methods. So, we thought we’d create this round-up post. You can get to know all the different products and get prepared for this year’s summer holidays! This classic range from Solero is designed to suit the whole family. It offers three-way protection against the sun’s harmful effects. As well as UVA and UVB protection, the Triple Defence range also helps to prevent against infrared rays. They usually penetrate deep into the skin and can cause both short and long term damage. All of the products in Triple Defence range offer a high SPF ranging from 30 to 50. So, you can be sure your little ones are getting the best possible skin care on a family holiday. This range of sun care products has been specially formulated for children and adults who have sensitive skin. Especially those who are prone to skin allergies. The lotions and sprays are suitable for people prone to eczema and skin allergies. It can help to prevent uncomfortable flare-ups induced by sun exposure. Don’t like getting your hands messy? Want more even coverage? No problem! Solero Sun Care has a range of easy spray bottles that ensure even coverage and mean less time with lotion on your hands! This triple defence lotion is perfect for short-term sun exposure for (non-fair, non-freckled) adult skin. Use the squeezy bottle to apply generously and remember to reapply frequently, as the SPF is lower than other products in the range. Get all the benefits of the SPF 15 sun lotion with added moisturising properties. This lotion also comes in an easy to use spray bottle for extra convenience and is ideal for adults who don’t want to stay out in the sun for very long. 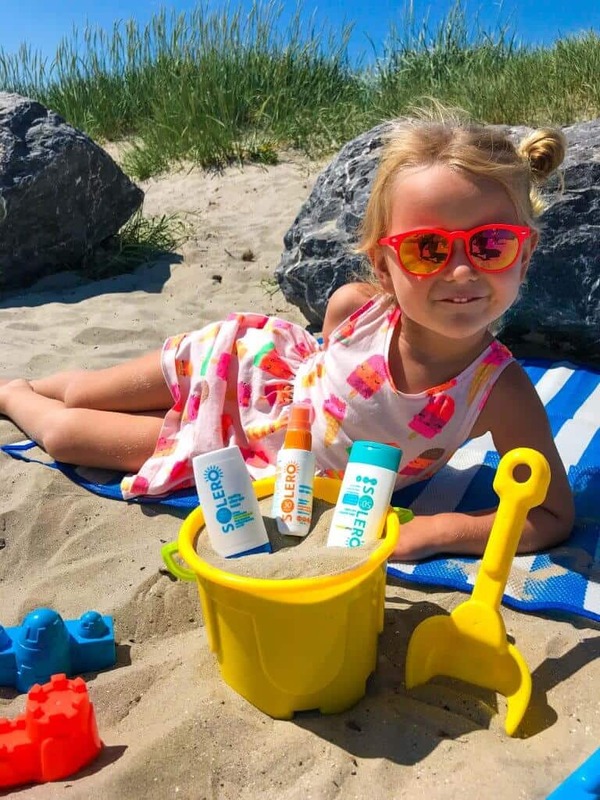 A top-down squeezy bottle of water resistant sun care lotion for kids and adults, helping to prevent against sun induced skin damage, premature ageing and wrinkles. The Solero Sun Lotion helps to keep skin hydrated and soft and is a non-greasy, dermatologically tested formula that is ideal for young skin. The Solero Sun Lotion SPF 30 is available in 200ml bottles or handy travel sized mini bottles of 50ml. 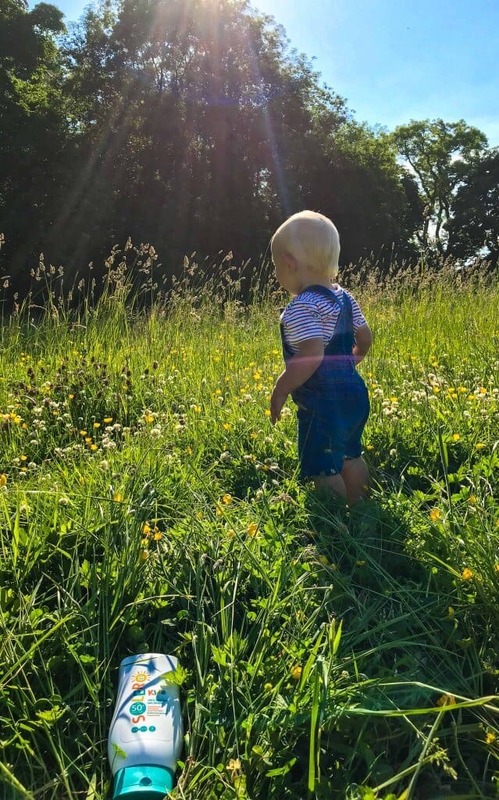 The Solero Kids’ Sun Lotion offers an extremely high sun protection factor for children’s delicate skin as well as people suffering from eczema. The lotion has been dermatologically tested on those prone to skin allergies and it offers strong UVA and UVB protection. It is suitable for ultra-sensitive skin and is also water resistant and fragrance free to prevent irritation and skin allergies. This cooling after sun lotion is the perfect travel size for popping into a handbag or beach bag. Its soothing formula offers 24 hour moisturisation after being out in the sun and is made with extra concentrated Aloe Vera, relaxing sun-irritated or dry skin. It is non-greasy, absorbs easily into the skin and calms that ‘hot skin’ feeling that can bother holidaymakers after days spent outside. Perfect for those with sensitive skin, Solero’s Ultra Sensitive Sun Lotion offers a moisturising lotion with a sun protection factor of 30, ideal for adults who don’t spend much time in the sun but have irritation-prone skin. The lotion comes in a squeezy bottle of 200ml or a spray bottle that is perfect for days out at the beach with kids. Holidaymakers with delicate skin will benefit from Solero’s Ultra Sensitive Sun Lotion, offering a moisturising lotion with a sun protection factor of 50. The product is ideal for adults who want strong sun protection and have sun-induced irritation-prone skin. The lotion comes in a handy travel sized bottle of 50ml and a squeezy bottle of 200ml. With a high sun protection factor and extra moisturising properties, this handy sun lotion in a convenient spray bottle is perfect for people who want super soft skin with reliable protection from UVA and UVB rays. Perfect for baby’s extra delicate skin, the Solero Baby Ultra Sensitive lotion offers maximum protection with an SPF of 50+. Keep baby out of direct sunlight and ensure regular reapplication for the best sun protection for your little one. This specially formulated spray for both adults and children has been created to prevent flare-ups associated with sun exposure. If you are prone to redness, blistering or itching after being out in the sun, this spray will create a protective barrier on the skin to prevent UVA and UVB radiation. One of our favourite products in the range, this spray is ideal for skin that is not acclimatised to the sun and contains Vitamin E to prevent drying out. The spray is 100% transparent, quick drying and gives full coverage with every application. The new Solero range of sun care products are available from LloydPharmacy and are all under £8, perfect for budget family travel and saving money for holiday treats! This post about some of the best suncream for kids is sponsored by LloydPharmacy. As always all views expressed are entirely our own. This post is sponsored by LloydPharmacy. As always, all views expressed are entirely our own. The post THE BEST SUNCREAM FOR KIDS appeared first on Travel mad mum.